With snow falling throughout France it’s a great time to pick up one of the bargains that we have in our most popular resorts. 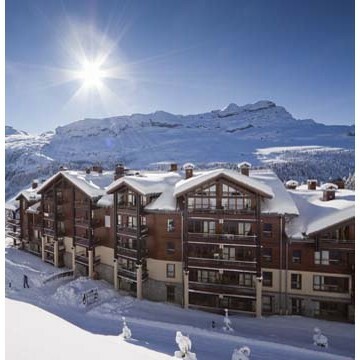 The ski in / ski out in La Falaise Apartments in Avoriaz for just £150 pp -based on a 4 sharing one bedroom apartment. Stay at 4* Flaine Montsoleil in the Grand Massive ski area for just £169 per person – based on 4 sharing a one bedroom classic apartment. Ski the biggest ski area in the world at a great price – save 25% when you stay at Residence Tikal in Val Thorens. Prices from £164 per person – based on 6 sharing a 2 bedroom apartment. We can package all of these accommodation options up with flights from regional airports, a Eurotunnel crossing, a ferry crossing or leave as accommodation only if you have your own arrangements. These are just a few of the offers, we have lots of other resorts that we can book and make you great savings on – give us a call on 0131 243 8097 and we’ll get the right holiday for you. We’re starting to make lots of bookings for next season already and it’s never been truer that the early bird catches the worm! Many skiers and boarders have already saved up to 50% on their accommodation in our most popular hotels and bagged the lowest flight prices, especially on busy departure dates. Flights are now available to book for Christmas and New Year (these will sell out in all but the most expensive seats pretty quickly) and have also just been released for the February Half Term which is the week of 11 February for most schools next year. Whistler is leading the way with the best prices throughout the 2011/12 season – if you book early with Ski Independence you can save between 30% and 50% depending on where you stay and when you travel. Fairmont Chateau Whistler – Save 50% on accommodation based on 2010/2011 rates. We’re adding properties daily as we work on getting our clients the very best deals out there – call us on 0131 243 8097 and let us know what you’re looking for and we’ll do the rest, we’re committed to give you the best information and find you the best offer out there! Our 2011/12 brochure will be available in the summer but for all the latest offers, resorts and properties check out the website. 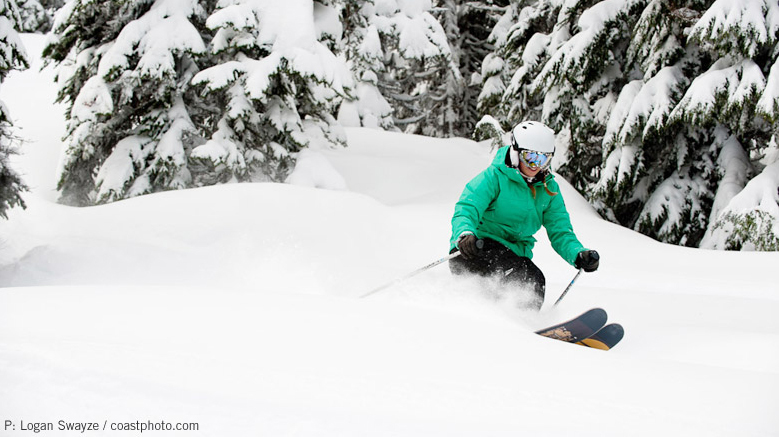 Whistler Blackcomb has seen 186cm (73 inches) of fresh snow in the past 7 days, which takes the season’s total to 1,033cm (407 inches), beating their annual snowfall with three months remaining in the ski season. There are some amazing late season deals available to Whistler, starting from only £849pp for 7 nights at the Tantalus Resort Lodge, with the resort open until mid-May with skiing available on Blackcomb Mountain. Call the reservations team on 0131 243 8097 for more details. The Warren Smith Ski Academy touched down safely in Japan on Friday, thanks to Annika in our Ski Groups department who has organised all the travel and accommodation arrangements for the Japan Powder Camp for the past two years. This year the camp is made up of 43 skiers who over the past few days have been getting their ski legs before being launched into the annual Japan Powder Camp. Monster Ski 2011 – Tignes. 3rd February 2011. 90,000 vertical feet in 3 days! This was one of my favorite trips I’ve taken since I started working at Ski Independence and it was a huge success. I’ve always wanted to lead a Monster ski since it was set up by Mike Laver in 2007. Not only does it raise huge amounts of money for the MS Trust but it is proof that being diagnosed with multiple sclerosis doesn’t mean you can’t go out and do the things you would normally do. Saying that, skiing the vertical of Mount Everest 3 times in 3 days may not be classed as a particularly normal thing to do which made this trip and the challenge all the more exciting. Tignes and the expanse of the Espace Killy area was our destination and you truly can’t get a better place to get a ton of good skiing in with lots of wide open groomed slopes and 3 – 4 lifts that will give you over 3,000 feet vertical in one run. I have to say as soon as I met the group at Geneva airport I knew everyone was going to gel and we were in for a good trip. On the trip there was Mike, John, Victoria, Alison, Andy, Robin, Sarah, Louise and Siobhan. There were 10 of us in total and it was really nice to see a mix in genders and ages with 5 girls and 5 guys. 3 members of the group have MS and the rest of us have family members or know people who have been affected. So we made it through January… Christmas is a distant memory and you’ve broken all of your New Years resolutions, but there’s a nagging feeling at the back of your mind – like you forgot to do something? Like book the half term ski holiday… Oops! Well, if you’re looking for a last minute holiday you may be finding that ‘deals’ are thin on the ground. If you can have a small degree of flexibility on dates then things open up massively, but if you are tied to travel on the 19th to the 26th there are still some good deals round. Want to learn how to drive a piste basher? As like many of you, I never look at the back of a piste map. All you’re interested in is which run goes where and almost as importantly, where the on-mountain restaurants are for the well earned 11 ‘o’ clock hot chocolate & plate of “frites” at lunch time. However, upon recent inspection of the back of the Serre Chevalier piste map you could be missing out on valuable information!